So, a few days ago I was walking the aisles of my Neighborhood Wal-Mart in search of ingredients for a homemade almond cake. I stepped out the house that day looking a lil’ rough. 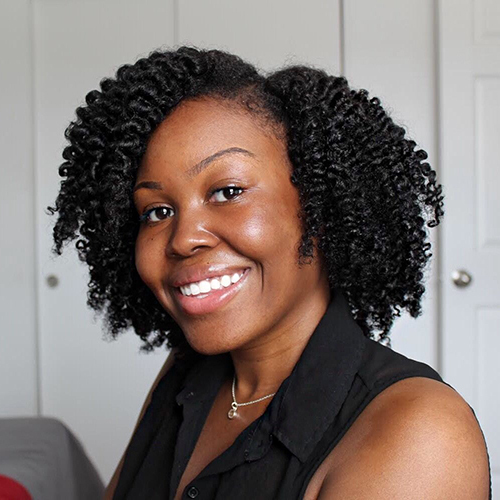 My hair was in two strand twists that were a bit flat from sleeping on them, I wore regular black v-neck, and a pair of bleached stained grey yoga pants with my house slippers to match. Chile, the only thing that was making me look presentable was my eyebrows that I had done earlier that day. Wal-Mart was indeed pack with people racking up for cooking meals and desserts for the Christmas holiday. I was minding my business when a woman stopped me while I was looking for a box of cake flour. "Ummm... Hey, Lynn." She said to me as I reached to the highest shelf for the box. I turned around thinking my husband was behind me with the basket, but him and the baby said look for me. "Hey, how you doin'?" I smiled feeling played because my husband was M.I.A. The woman looked to be no older than 27ish sporting a PINK black and white bomber jacket with the track pants to match. She was a black woman with her natural hair in a high puff with laid edges and wore a natural face of makeup. The first thing I notice was her smile that was bright and beautiful. "I just wanted to tell you that I love your YouTube videos and blog. You always seem so happy and genuine." She sported a huge smile from ear to ear and shook her keys in a playful way as if they were jingle bells. I couldn't help, but to return a smile. "Thank you oh so much. Girl, I'm out here looking all rough and broke. I'm surprised you recognize me." "Girl, please. You're still beautiful and your smile is amazing. It will always be your best accessory, if you ask me." I felt a little uneasy and smiled through her compliments. It wasn't an everyday thing for me to run into someone who appreciate me and what I do for a living. That entire week I was protective styling my hair underneath a bonnet, since I hardly leave from my house. I haven't purchased clothes for myself in months and that's when I was pregnant. On top of all that my coins been going to bills, buying for my son, and groceries here and there. I was starting to feel like I was letting myself go. "Thank you! I didn't catch your name. I really appreciate you so much." In fact, I gave her a hug right there fighting back the glassy eye sensation that was coming along. "Amber and I love you!" I laughed and told her not to make me blush. She told me that she always looks forward to seeing and hearing what I have to say. She finds me very interesting and I was still blushed out. 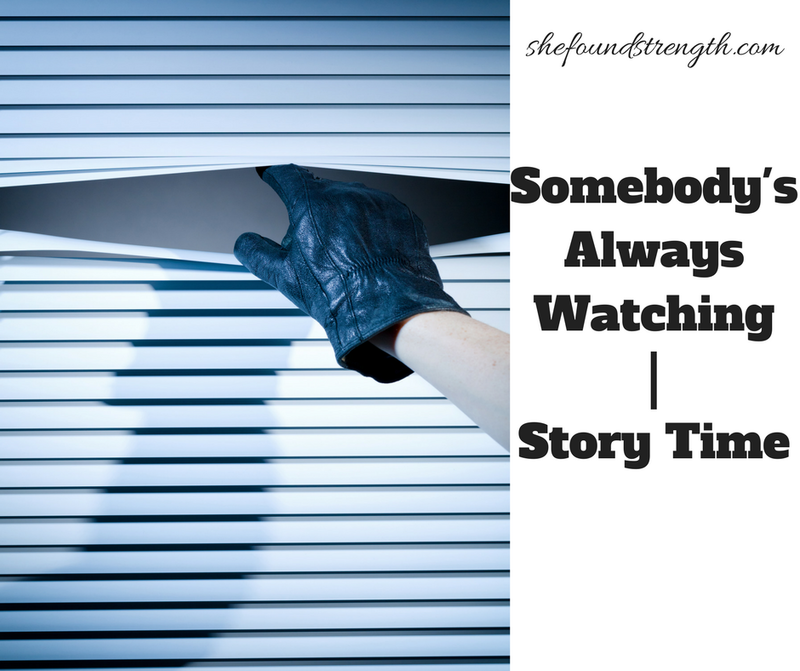 After talking with her I wanted to share this quick story on my blog because there's always someone watching. I always use to pride myself on stepping out the door looking presentable no matter where I'm going. I'm not the sport a bonnet in the grocery store type or bold enough to wear my pajamas to the store either. (Not knocking anyone who do. It's just not me.) I know that we all have our days like I did in the story you read. I felt like f it that day too. Just remember that there is always someone who is watching you. They may not ever approach you and tell you. They may not ever cross your path. But you should always stay on your toes and woke. People are going to take notes on how you make moves, dress, and handle yourself. It doesn't matter how young or old you are. There's someone who admire you and checks up on you on social media like you're a close friend or family member of theirs. I said all that to say keep pushing and don't ever be shame to live in your truth. Someone probably need to see you living in your truth to become inspired to do the same.